19 Curzon Terrace is a spacious 3 bedroom terrace house offering excellent family accommodation. We had a fortnight in Curzon Terrace in July 2018 and it was great. Kevin met us to give us the keys and to pass on some tips about local parks/eateries. The house was in a good location (for us) right next door to York racecourse and just round the corner from massive playing fields, which were great for the boys. Secure garden for our bikes (no shelter but it didn't rain!). 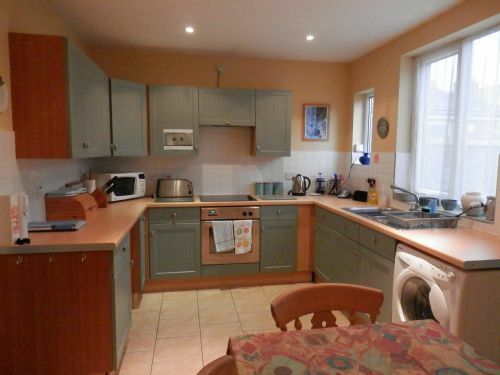 Lovely spacious dining kitchen which was well equipped. House was very hot (but we did visit during a heatwave) and blackout blinds/curtains would have been useful to cut out light/heat. But really, it was a great holiday home, very cosy, short cycling trip to two parks (5 mins or less to rowntree park) and round the corner from a bus stop for days we didn't want to take the car to centre of York. You could walk to the centre (we did one day, mabye 25 mins?) but with the children and the heat, generally we cycled or took the bus. Great time, would certainly recommend it to families who want to be on in York, but not in the middle of the city. Lots of good off-road cycle tracks too. Lovely house, nice and spacious with a nice outside terrace. Parking is a little tricky as it’s on a narrow street. Kevin the caretaker was brilliant. Will definitely be coming back. We have used this house 4 times over the past 8yrs and have always been comfortable with it. However this time we were more than pleased, it seemed brighter, cleaner and more of a home away from home, not just a rental accommodation. Kevin was very helpful and the cleaners were excellent. The bus stop at the corner made it easy to get into the Centre of town and home again. Our only suggestion would be a tumble dryer would have been useful, as given the weather hanging the clothes outside was not possible. We will definitely use this house again. We really enjoyed our stay in York. 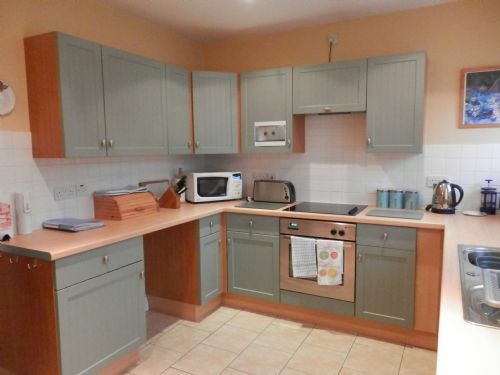 This property is about a 15-20 minute walk from the city centre but you can go through Rowntree Park which is beautiful and has excellent facilities for children. The house itself provided excellent accommodation for up to 6 people but could have been so much better. I have already emailed In York Holidays about the following and they are being rectified. The fence separating the upper and lower parts of the garden was missing several of the posts. A storage box had been placed in front of the gap, however this still left space for our 3 year old to climb on top of the box and squeeze through to the lower level. 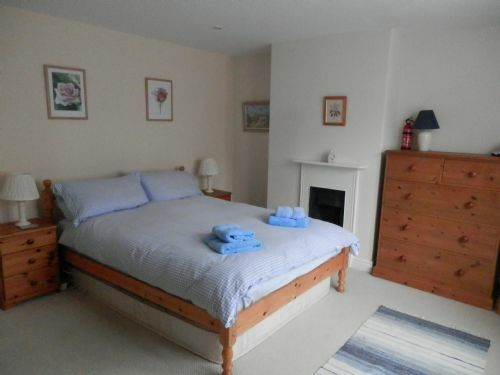 The bed in the master is a double and the mattress really needs replacing, could really do with a kingsize and there is ample space in the room for one. There is a rug in the livingroom which really needed replacing too, as well as numerous pieces of crockery that were chipped or cracked and a kitchen drawer that needed repaired. There is no crockery or cutlery suitable for small children nor is there a high chair, should you need one. The paintwork was pretty grubby in places too and it all added to the air of needing a jolly good spruce up. There are 2 toilets in the property and we were only left half a roll of paper in each one which I'd expect at least a spare for the money. There is a washing machine here which is brilliant when you have 2 boys that are out in the park, but again a simple thing like a washing basket to take it outside to hang up your washing was not provided. This place could be excellent if the issues above were addressed. Good value house with lots of space. We had a good time at 19 Curzon Terrace. It was great to have a whole house with our own space and to be right next to the race course which was brilliant for walks with the children. It was close enough to town to walk (not for the kids though) and had all we needed for the weekend. A group of us, working at the theatre, had a great stay here. A twenty minute walk into the centre was very straightforward. The house itself was warm and comfortable with a nice garden to sit out in, when it wasn't raining..! The house was lovely we even enjoyed the walk into York.The only problem was the hot tap in the kitchen,you sent a plumber the next day but it was Wednesday evening before the tap was replaced and even then we had no hot water. 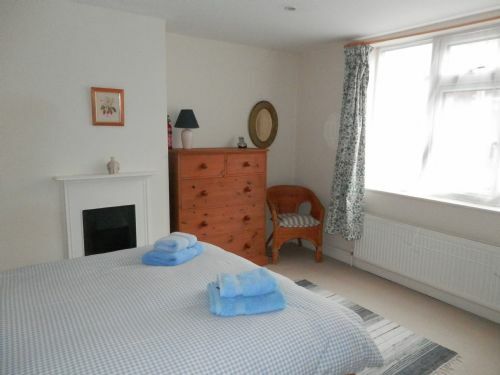 The house was perfect for our long weekend in York - very comfortable and excellent condition. The kitchen was very well equipped. We will definitely consider staying here again. Would definitely book here again. Everything as advertised and more. Short distance into York centre and right beside race course. Very easy access t o major motorways. This house sits outside of York city centre beside the racecourse. It is a busy street but I had no trouble parking outside the property. The property itself was everything that we needed - warm, comfortable and clean. We walked into York most days (approx. 20 - 25 mins at a steady pace) but there are bus stops nearby. Rowntree Park is also close (10 min walk) and worth a visit. There are a couple of local food shops in Queen Victoria Street, but we headed to Tesco to do our shopping - just 10 mins in the car. I wouldn't hesitate to recommend the property and InYork holidays. A neat and tidy terraced house with a bit of outdoor space. Sleeps six but helps if some are children! Bit of a walk (30 minutes) to get into town but there are buses. We - three brother-cyclists - stayed in Curzon Terrace for five nights. Place was perfect: three bedrooms, large kitchen and a Backyard for the bicycles. Quite close to the centre of the city, ideal for trips to the countryside. We needed a house or apartment to stay in while I attended a conference - unfortunately this coincided with a race weekend, which means York was busy and expensive! This was the best value place I found. This house was very roomy and fairly quiet, though do note if you're here around a race weekend you will get some foot traffic and noise from the racecourse. It's a good rental property for a family and it doesn't take too long to walk into the city centre (about 25 minutes). The kitchen is very well equipped compared to some places we've stayed. The sitting room looks a little worn, but the house was very clean and the bedrooms are all very comfortable - and I appreciated the big bath! Our adult family of 6 stayed at Curzon Terrace in June,although it's a terrace house there was plenty of room. Everything you needed for a pleasant stay was provided. There is a small garden area to enjoy and the area was very quiet.The racecourse and grassy area to walk and picnic virtually round the corner. The bus into town took around 10 minutes so it's easy to leave your car and go in on the bus. I would stay there again. We loved the property but the shower was not very good (just a dribble). 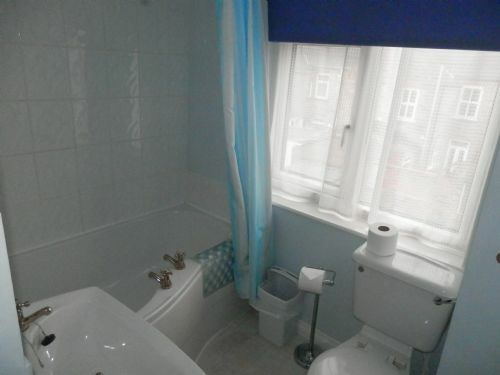 We felt that the cloakroom toilet should have a sink in the room or the alcove next to it as it is not very hygienic to then have to go to the kitchen to wash your hands.and also the kitchen sink taps are really hard to turn on and off. The garden was lovely and we had a nice sunny day and evening when we got to sit out there. The bedrooms and sitting room were very comfortable too. My family & I (6 person) enjoyed our stay at 19 Curzon Terrace. The place is comfortable with complete self catering facility. Its reasonably near to the city centre, One of the days we walked to the city and walked back via another route and enjoyed it. This property was a great place to stay. We were able to walk into town. The house is well fitted out for cooking for a large group and there was good wifi. Excellent location for visiting both York and its surroundings. No problems with parking even though on road. Very quiet area and no neighbor noise either within or without. Very spacious and well equipped. Good tourist information leaflets provided. Very warm and comfortable. A dishwasher would be useful for a house that can accommodate six persons. We really enjoyed our stay and overall was excellent value for money. Booking handled very efficiently. Accommodation comfortable and fully equipped. Narrow street makes on street parking difficult but not a massive problem. This is my 4th stay at this property so would highly recommend it to families of up to 6 people. We really enjoyed our stay. A butcher, a baker, a Fish & Chips shop and a small grocery store were within 2 blocks. I loved to pop out for a quick buy for breakfast from both the butcher and baker. There were restaurants of various flavours about a 10- 15 minute walk away on Bishopthorpe Road. It was a nice 30 minute stroll to downtown York or you could take a bus from the bus stop about 1/2 block away. The home had a nice electric fireplace to take the evening chill off. 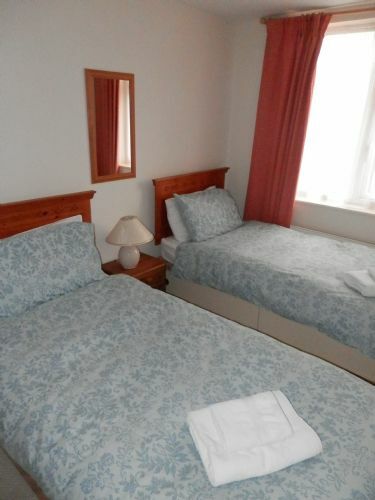 The bedrooms were large enough for our needs and the beds were comfortable. The bathroom was good and the shower worked very well. We would definitely stay here again. The house was spacious, clean and comfortable, and the housekeepers were very helpful. The location was perfect. The online booking was easy. We will recommend the house to others. I actually don't know about the price, as our stay was paid for by someone else. But a great place to be, all the comfort one could wish for. This was a great house to stay in for a short break in York - clean, tidy and well appointed. Parking was tricky because of a local event happening at the weekend, but ordinarily it would have been fine. It was close enough to walk into York and the Knavesmire was fabulous to have on the doorstep. I'd certainly stay there again - a cracking property - the small courtyard and garden at the rear was a lovely sun trap for late the late afternoon. 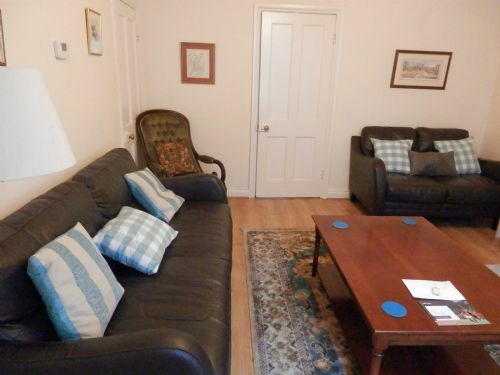 We found 19 Curzon Terrace really comfortable and well equipped for the 4 of us during our stay in York. The apartment had all the facilities required and we enjoyed all aspects of living there for 4 days. parking was at times a challenge, but we never went without finding a spot for our hire car. Perfect location for the racecourse. Five of us, from 5 to 65, stayed at 19 Curzon Terrace for a weekend and found everything we needed to enjoy time in York. 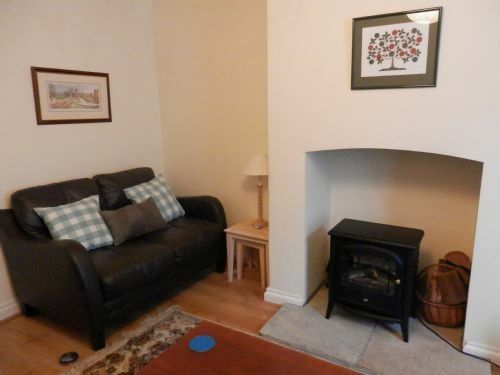 The house is literally round the corner from the racecourse and convenient for buses or walking into York centre. 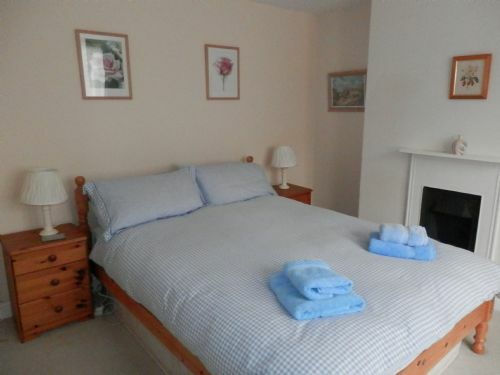 Bedrooms were clean, airy and comfortable and the kitchen was well equipped. We would definitely try to book this accommodation on our next visit to York. Had a day at the races so location couldn't have been better. Lovely house with everything we needed. Very comfortable although parking a bit limited, probably due to races. 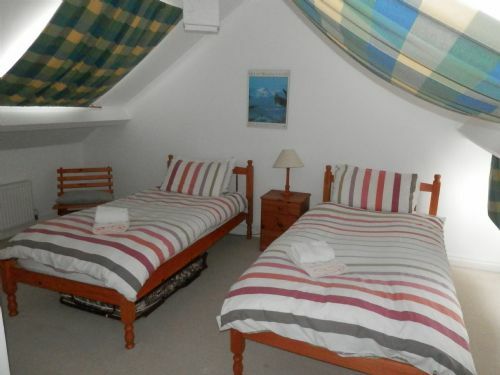 Very clean and comfortable well equipped and beautifully decorated. Great location - close enough to the city centre and very close to the racecourse. Liked the finishing touches such as the pictures of St. Ives and also that there were plenty of crockery cutlery and glasses. Great that broadband wifi was provided (which we had no problem with) and tv (which we didn't have time to watch). Good that there was on street parking but due to the number of cars in the street be prepared to park further up the street (and practice parallel parking before you come). We were only there for a few days and didn't dine in so didn't mind the lack of dishwasher but if you are there for a week with children you might wish there was one. Thoroughly enjoyed our stay and would definitely come again. The house is well-maintained, comfortably furnished and in a good location. Our grandchildren loved the proximity to the very large playing fields, whilst we found the local shops (baker, butcher and general store) very convenient. The bus stop is literally round the corner (15 minutes to York centre), though as the buses only run hourly, you may find the Askham Bar park and ride facility more convenient. It's only five minutes by car. We loved our stay and would certainly come again. It was beautiful situated. Pleasant walk to the wonderful city of York. Very helpful and nice people.The house was warm, wifi, lots of space for my 4 children. Some little shops near the corner, one of them a nice home bakery. Enjoyed it very much, even think of going back. We loved staying here over Xmas. The location is excellent with a pub, baker, butcher, small grocer shop and fish and chip shop literally within a stone's throw. And more shops and restaurants on Bishopthorp Road.only 10 minutes away. Also 10 minutes to the Millennium Bridge and river walks. And only 20 minutes walk into the Centre of York. The house was clean and tidy and very well equipped.It easily accommodated the 5 of us and could easily have taken 1 or 2 more. Nice little garden but overlooked. Only 2 criticisms.Firstly the wifi needs to be fixed. We had no access to the internet for the whole 6 days we were there. Based on previous reviews this has been a problem for months. It is really time to sort it out as it is something most visitors will want and expect. Also the TV is adequate but a bit small for the room. But overall we were very pleased with the house. The team at InYork were very friendly and helpful.